Motorpoint is offering savings of over 50% on the 'nearly-new' Chevrolet Matiz. The car supermarket giant has made the cost of owning the popular pocket-sized city car even more affordable by cutting the price of a 59-Reg 1.0 SE 5dr model to only £4,499 - a saving of £4,956 off list price (equivalent to 54%). 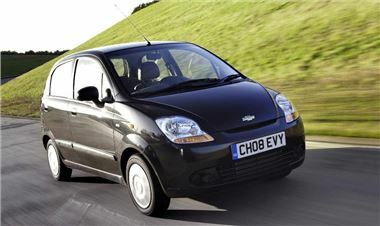 The Chevrolet Matiz has proved a hit with UK motorists since its arrival on these shores in 2005. This particular model from Motorpoint comes with optional extras such as Air Conditioning and Metallic Paint as standard.